Go ahead and press the button, we won’t tell anyone. Oops, now you’ve done it! Somewhere through the warp gate, buried in the ruins of a long-dead civilization, a strange machine could be the key to the Storm that threatens Seg Eraranat’s world. But does this ghost world hold the secret of salvation or the ultimate portent of doom? Haunted by the death of the woman he loves, and caught in the crossfire of a shadowy war, Seg Eraranat volunteers for a secret off-world mission. Not far away, Ama Kalder awakes under the care of a mysterious indigo-skinned stranger, living among a tribe of escaped slaves. With her memories lost to the Storm, she must battle for survival in the unforgiving wastes. Separated by fate but drawn across the dimensions, Seg and Ama race to solve the mystery of the Storm before it’s too late. 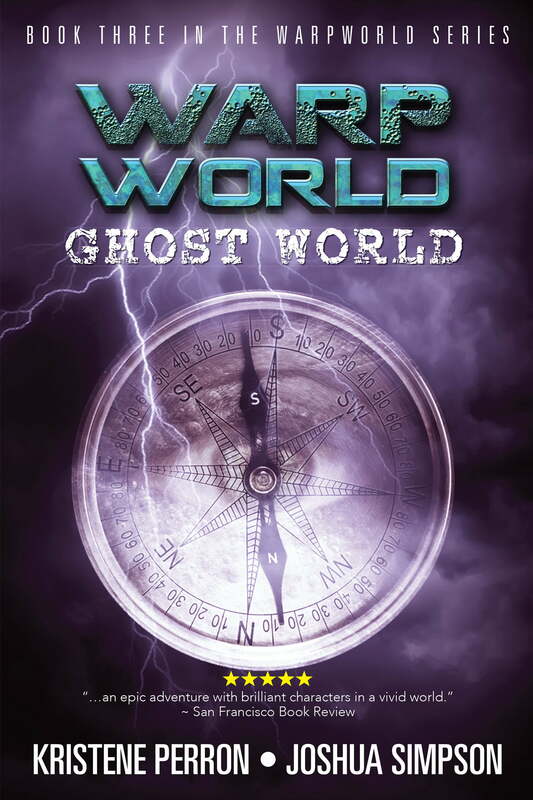 Ghost World is available on all your favourite formats: Kindle, Kobo, Nook, iBooks, inktera, Scribd, and even in…gasp…paperback! When you’re finished, remember we always love to hear what you think! Give the authors a piece of your mind here. To celebrate our official launch, we’ll be having sales and giveaways and even some live events. We’ve got another Shadow Story coming out, so even when the book is over you can still linger in the Wasteland a while longer. There will also be a new guest blogger series starting here on March 15th, with a new topic and a karg-load of special guests. Keep your eyes on this blog for updates and goodies and inter-dimensional kittens*. *Inter-dimensional kittens are illegal under Cultural Theorist Guild Code 247-G.
adventure science fiction, Ghost World launch, inter-dimensional travel, Warpworld Ghost World, Warpworld third book, where to buy Warpworld.